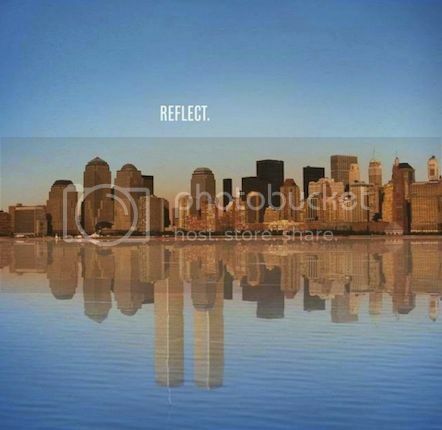 This past Friday marked another sad anniversary of 9/11, a day when Muslim terrorists hijacked airplanes and flew them into buildings in multiple locations around the US, but most recognizably, the Twin Towers in New York. I’ve been to the site twice and both times I was moved at what I saw. 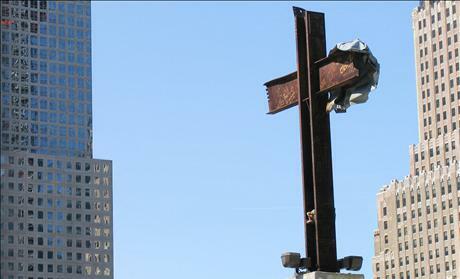 Prominently displayed at the site is a cross pulled from the rubble that’s made out of 2 large i-beams. On one of the arms of the cross is a piece of metal that looks almost as if it could be a cloth drapped over the side. Surely, I thought at the time, this is a sign from God that He’s still with us, even in these dire times and in our lowest moments, God is still here. He’s looking out for us. The irony of thinking that and seeing all the destruction that happened from His inability or unwillingness to intervene never struck me at that time, but would years later in my deepest doubts. 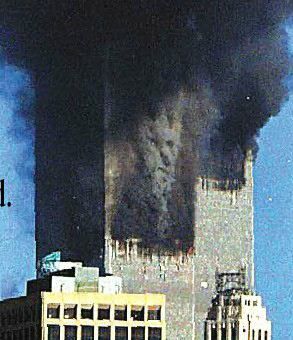 Here’s another picture from before the Towers fell that shows what some think is the devil in the smoke. Yes, Lucifer is in the smoke. Can you see it? If the cross left behind meant that God is looking out for us, does Lucifer in the smoke mean that the devil is behind this evil? Or that he’s the ultimate source of the evil that attacked? Or are our small human minds assigning meaning to things that have no meaning because it brings comfort? You see, the cross, while at one time moving to me, has since been seen as merely an intersection of two i-beams in a building that’s literally held together by perpendicular i-beams that all make a cross. With hundreds and thousands of these intersections, is it any surprise that we’d find a remnant like this? 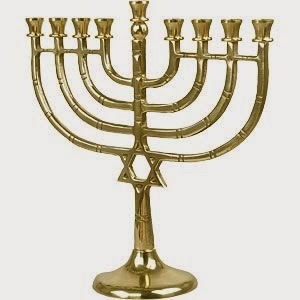 If you found an i-beam twisted into a Menorah well then that would be impressive! The Menorah, Star of David or a Star and Crescent for Islam have mysteriously never been found at the site. Is this because the gods of those religious beliefs aren’t real? Or because an i-beam being twisted into anything more than 2 perpendicular lines is just too hard for a god? Or are people merely interpreting information in a way that confirms their conclusions? This, my friends, is confirmation bias. When we have a conclusion already set and go about looking for things that support our conclusions, we’ve made a fatal error in processing data or what a viable answer may be. When something as huge and devastating as 9/11 happens to us here in the US, it terrifies us and we look for ways to make sense of the chaos. It scares us to think that this type of needless suffering and death could have no meaning. What do we do when trying to make sense of all of this? We look for things that comfort us and confirm our beliefs that there is something out there greater than us and it’s looking out for us. While this is a perfectly human way to think, it’s also fundamentally flawed. So, no, we shouldn’t be surprised to see a cross amongst the wreckage just like we shouldn’t be surprised to see rebar, cement or glass. If a cross grew out of the ground and stood unmovable over the destruction….well….that would be something wouldn’t it? But sadly, it’s just some steel beams and Christians weren’t the only ones to die inside the Towers: there were Jews, Muslims, Buddhists, Hindus and even Atheists in there. Sadly, modern skyscraper architecture isn’t conducive to any religious symbols more complex than 2 perpendicular lines. Otherwise, there may have been a Flying Spaghetti Monster found in the rubble. This entry was posted in Atheism, Christianity and tagged 911, confirmation bias, doubt, fear, terrorism, Twin Towers by Nate Pratt. Bookmark the permalink. I’ve written on other blogs that the tendency to find agency where there is none, has long been ingrained within the human species. The Stone Age hunter, who heard the wind in the grass and believed it to be a sabertooth, lived longer to pass on his genes and his wisdom than the hunter who, upon hearing a sabertooth in the grass, believed it to be the wind. That the tendency exists has been borne out by the images the ancients found in the arrangement of the stars, as well as today, in the shapes we see in the clouds. If the Bible’s god were looking out for us, he would have prevented 9/11 from happening. I’m thinking he was out of town that week. It couldn’t have been FSM. Bolognese sauce requires steady, low heat.